Disney News and Interviews From The Mouse Castle: Nominate 'The Mouse Castle' for This Year's Podcast Awards! Nominate 'The Mouse Castle' for This Year's Podcast Awards! THE DEADLINE HAS BEEN EXTENDED UNTIL FEBRUARY 6TH. PLEASE GET THOSE NOMINATIONS IN! THANK YOU! Okay, gang, we need your help. Please take a few minutes to support Team Mouse Castle. On April 14th, New Media Expo (NMX) will host the 10th Annual People's Podcast Awards in Las Vegas (my hometown). It's one of the most prestigious awards handed out in online media and we'd really like to be in the running for one. What am I saying? We'd like to win the damn thing. Accomplishing this requires a lot of help, because you're doing the nominating. So, yeah, no pressure. 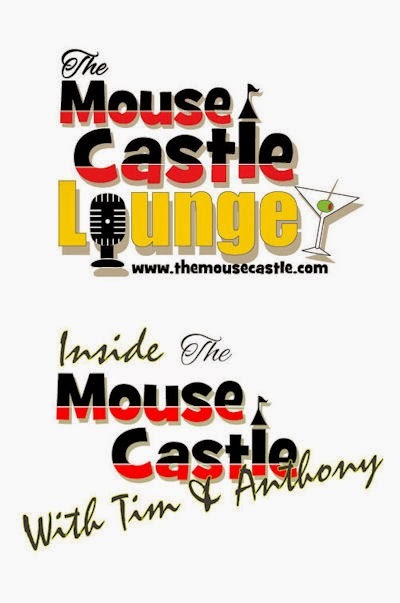 If you've listened to and enjoyed our two podcasts, The Mouse Castle Lounge and Inside The Mouse Castle, we hope you'll nominate them for Podcast Awards. It's very easy to do. First, visit www.podcastawards.com for the nomination ballot. Next, please enter The Mouse Castle Lounge in the "People's Choice" and "Cultural/Arts" categories. Enter Inside The Mouse Castle in the "Best Produced" and "Entertainment" categories. Use www.TheMouseCastle.com as the URL for each nominee. If there are other podcasts you like in other categories, by all means enter them, but please limit The Mouse Castle podcasts only to the categories I named above. It will improve our chances of being recognized and keep us within the rules. Finally, enter your name and e-mail address, then click "Submit." You're done. Nomination ballots are limited to one per person only and must be entered before February 2 6, 2015. If we're fortunate enough to make the final ballot, then you can go crazy with voting. We'll let you know when and how. Thank you for helping us out. You're awesome!